Notes The Vic-20 was a predicessor to the Commodore 64. It was relatively underpowered but it was cheap. It proved to be a good "gateway" computer in that users would get frustrated with the Vic-20 limitations and upgrade to a Commodore 64. In 1980, Commodore Business Machines, building on the success of their PET (Personal Electronic Transactor) line of computers entered the home market in force with the introduction of the Vic-20. This little machine, basically an oversized keyboard with a computer stuffed inside, was sold as an alternative to the gaming systems that were popular at the time (Atari 2600, etc.) The Vic-20 was actually more powerful then the game systems and had the ability to do more then just play games since it was, after all, a full computer. The machine accepted cartridges for much of its programming with an optional tape drive being the most commonly used “mass storage.” The machine is, however, compatible with the disk drives that came along a bit later with its big brother, the Commodore 64. The VIC-20 in my collection comes with its original box and power supply. 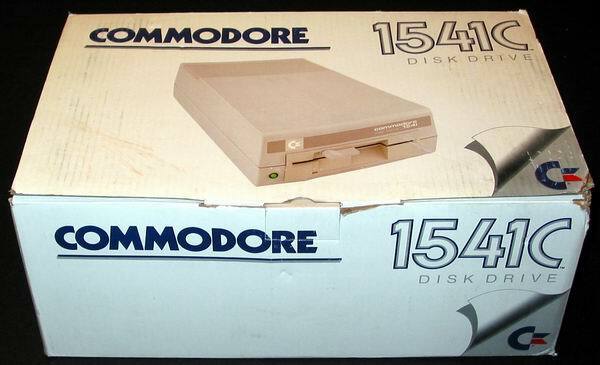 It also comes with a Commodore 1541 5.25" floppy drive. The disk drive is also boxed. I've also got the original VIC-20 manual (not pictured. . . yet) but no cartridges or software for this machine. The VIC-20 in my collection was donated by Rick Collette along with several other very nice items! Had one of these when they first came out. It was the coolest thing at the time. I did my first basic programing on it. And saved my work to the tape drive. Couldn't have been more thrilled. Pirate Cove aka Pirate Adventure by Scott Adams. Text only adventure. Just played it again after 25 years. Bought back so many memories. My dad and mum around my vic20 helping me with my spelling 'drop parrot'&'take mongoose'. I did what I could not do when I was six, I completed it, mainly because I still remembered some of it. This game conjured up so many adventurous yearnings in my early years that it introduced me to Treasure Island and then a lifetime of great literature. Thank you Scott Adams! Looking for a computer such as commodore VIC-20 with tape drive. I have 24 CNC (Computer Numerical Control) tapes (exactly like audio cassette tapes) that I need to convert to digital media such as CDs or DVDs. Have been trying for 3 months trying to find a tape drive unit that will use these tapes in hopes I convert to digital media. No luck as yet. Mickey the Bricky was my favorite game, i can still remember the theme tune! I can't, and I wrote it! I still have a copy of it somewhere, though sadly I sold my VIC for 20 quid many years ago. I remember this one. If only a nice set of samples of it's audio chip were freely available. I find it hard to believe no one has one to sample some pokes or peeks. In reply to some of the posts regarding Power Supplies, the Vic & C64 both use the same one. If you are missing the power supply to your Vic 20. You can do what I did. Look up the specs of the power supply in the manual (I'd tell you but all is is buried in boxes right now), look for Volts (V) and Amps (A) ratings. Then go to your local radio shack and buy a variable AC to DC power supply that will deliver the Volts and Amps you need. Then buy an adapter that will fit the connection you need. You might have to rig something, but should work. Otherwise look on Ebay for an original. My house was broken in to a while back and the VIC 20 etc. were stolen. I got everything back except for the power supply. Does anyone know where I can get a VIC 20 power supply? I'd love to play the games again. Great memories, my first computer. i was 14 in 1983 and they had been recently discontinued and Zellers (in Canada) had them on sale for $99. I bought one and saved up for the datasette, a joystick and some books. I used the PET's in highschool and this VIC was similar so I had a lot of fun buying cassettes and programming from books and on my own. COMPUTE! magazine was also awesome to get monthly. I ended up selling everything after a couple years for $200 and my plan was to upgrade to something better, I saw that Atari computers had great success, I shoulda gotten a 64 but instead got a 600xl (atari). i never really got into it. Until finally, 5 years later I got an IBM compatible laptop with page white VGA. Years later I found a C-64 with disk drive and tons of games that someone dumped. GREAT FUN, the PET, VIC, 64 and Amiga were great in their time !!! I have a VIC20 that my Grandfather gave me that doesn't work :-(. It has a blank screen when it plugs in. I believe it's a problem with the logic circuit. Does anyone know where I can get one repaired or trade a broken one for a working one? My first computer! My dad bought it for me when I was nine years old. He didn't know anything about computers but he knew they were the future. I taught myself BASIC on it, spent countless hours programming. I must have burnt out 2 or 3 power adapters from using it so much. I love this computer, brings back memories. It was the beginning of my life long computer programming career. I miss my dad. wow, I just found an old vic 20 in my garage. Still in the box. Must have had it back in the early 80s. LOTS OF MEMORIES. Althought the cartridge slot was primarily used for...well, cartridges, it can pass data out as well. It's a popular port for hams who are into RTTY and other data modes. So it caould be considered an I/O port. Got my Vic out, plugged it in and my son asked where's the mouse? boy how things have changed ! I've been having a lot of fun flipping through your site looking at the computers that I learned to program on. Sinclair, Vic20, C64... It's a trip down memory lane. I never should have tossed my old equipment. Thanks for keeping the memories alive. I'M LOOKING FOR ONE GOOD WORKING VIC20 COMPUTERS. The Commodore VIC-20 had some really great games. Two of my favourites were 'Radar Rat Race' and 'Clowns' which I still play via emulation on a PC. The only real limitation was the RAM, back in the 80s you needed at least 16 Kilobytes to do anything useful (wordprocessing, database etc..) on a computer. Without a RAM expansion, you would quickly run out of memory typing half of a 1 page document! Other than that, it was great fun and introduced many of us to computing. My first computer too, it was the bomb! I spent hours typing in code to make the simplest of animations, and I would do it all over again. I would love to have one again to teach my kids what it was like back in the day. The VIC20 was my first PC. I thought it was the dogs - all 3.5k of it! i remeber tying in code for space invaders for hours to find multiple syntax errors - gr8 when finally worked though. Mickey the Bricky was my favorite game, i can still remember the theme tune! I'd buy another. Really, this is, like, my FAVORITE old computer. I mean, THIS, IS, LIKE, AWESOME! I had one that my family pulled out one day. We hooked up the 25-year old thing, and it fuses up and stops working. We bought another on eBay, and someone saved it in the box for 24 years. I ripped the box open, and it works fine! WHOEVER YOU ARE, I THANK YOU DEEPLY, WONDER-MAN FROM MASSACHUSETTS! I was helping this old guy move from his house where he lived all his life. His brother work at for sears. well long story short I came found a Commodor 64 never been used. I opened the box and it was in the the origenal selafain bag as just pulled off selve. What do you think it is worth. Look up the as on youtube... it's interesting. I purchased a VIC 20 circa 1983. this one was assembled in England,later on I added a tape drive to it after a couple of months it malfunctioned it just went dead on me. I sent it back to the store to get it repaired.It was unbelievable I waited six months after complaining to get it back in working order it return back to me and I finally sold it to my nephew.He just had for a week and it broke down on him and after that I had to refund his money and it was once again returned to me.This VIC 20 was assembled in England during that period it was built(1982),Britain was involved in a war with Argentina therefore the workforce was reduced there was work stoppages at the factory due to supply and demand shortages,and also quality control at the plant.So therefore you had poor build quality. I've bought the VIC-20 in january 1984, at 11 yrs old, and as Don wrote, it was the seed of my life in computer science. Now I'm trying to use some emulator to re-run my old programs written on tape. I would like to record old cassettes on my PC using a normal hifi, connected to the line- in audio port and saving into WAV files. The problem is: what frequency, and number of bits should the samples use? E.g: 22050MHz, 8 bit? Less, more? Any hint is well considered. Thank you. The Commodore VIC20 was the first computer I ever owned. My parents bought it for me in 1983 for Christmas. I was 14 and we had moved to a new town. My VIC20 was the only friend I had at the time. I spent many a sleepless night programing in basic and playing games. Today I am a System Technician in the IT department for a large international comany. I owe it all to the seed that was planted during those lonely days I spent on my VIC20. I still own it and take it to show my kids where it all began. That drive doesn't seen to match the box. The disk mechanism is different. My first computer was a Vic-20 that I bought at Toys-R-Us. I used a 13 color TV as a monitor, and a standard cassette tape drive and a disk drive (a 1540, I think) for external storage. It did have an expansion port on the back that would accept cartridges for memory or programs. I remember hearing about a multi-cartridge card that would plug into this port, but I could never locate one. I did buy enough memory cartridges that if I had found this card, I could have boosted the memory to 16K. Unfortunately, I tossed this computer several years ago when I was cleaning out a closet after my wife and I bought an IBM Aptiva. It would have been fun to play with it some more. I have a working VIC-20, with a tape unit, and an older VIC1541 (white) drive (All works fine). I'll keep 'em forever.. I'm a PackRat! Up to 184x176x16 color In fact it can have 256x)200 but not all different 9 colours @ 1 time? and click on Blitz or Blizkrieg screenshot link. Sehr gut! i think it's very amazing with å speed on 1Mhz. I myself have a speed on 0.3 mhz.. very Exiting! Keep up the good work! I have a joy stick for this model. Some old software on tape that may still be accesible. Many Compute magazine games may be on the tape. I also have some programming manuals and hand books. Contact me price cheap to nothing but shipping. Hello-does anyone know if the Vic 20 power supply is compatible with the Commodore 64. What is the part #? Thanks. I have a Commodore Pet 2001 with bad RAM chip, where can I buy the replacement chips. 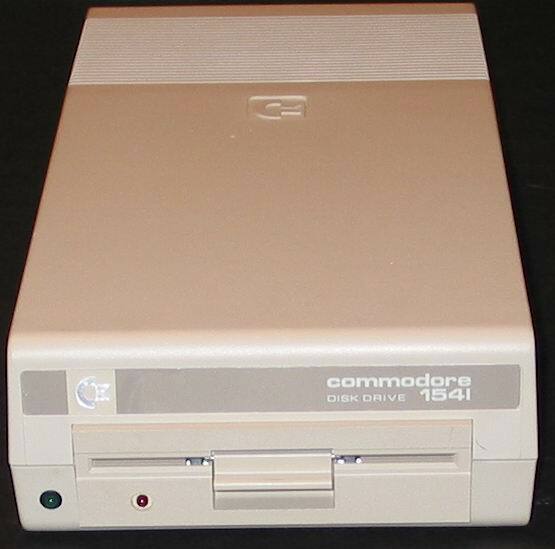 I would like to purchase a working Commodore 64 with a cassete tape drive, power supply and manual. I work in small computer school and I teach computer technology. I would like to show it to my students. I appreciate if you could help me out on this as it would help my students in understanding more about computers. Thank you. The Vic-20 had plenty of expansion, even though it is listed as having none. This is all off the top of my head. But I used to know the vic inside and out including using it for many robotics projects when I was much younger. I have a vic 20 with cassette reader, joystick and five games (Gorf, Alien, Jumping frog, Slot Machine, Poker) + manual with programs in Basic + transformers and plugs. I sell the whole package at EUR 250. Mail me if you are interested. I still have one with the cassette tape drive and the aftermarket 14K expander card. It came with a basic game on tape called Paratroopers which featured shooting at helicopters. The package cost $400 and was soon replaced by the Commodore 64. The original Pong game sold at Sears for $378 and also used a TV monitor, but I lost it over the years. Hi, My cousin is kindly giving me his Vic 20 and i was just wondering if its possible to play Commodore 64 games on it. If anyone could, please email me. Much appreciated. I've corrected the information on the PET machines as well as here. PET style Commodores were made in a US factory, not Germany. The 6502 was made by MOS Technology, not Motorola.